My post on “Craig versus McCullagh” noted William Lane Craig’s inconsistency in using “consensus” as a measure of the validity of an historical claim. See Craig v. McCullagh. When the consensus agrees with Craig, then he deems consensus as a sound barometer of truth. But when the consensus does not agree with him (e.g., the acceptance of evolution by some 99% of scientists; the consistent use of non-supernaturalism by nearly all academic historians), then he deems consensus as something akin to the Party Line of totalitarian regimes. Part of my response to Craig showed that, if there has been anything akin to a Party Line, it has been one administered by Christian institutions that have disemployed, persecuted, and killed scholars that did not agree with orthodox positions for about the last 2,000 years. I referenced Arius and Galileo from pre-modern Christian history. I also referenced contemporary examples of scholars, such as Christopher Rollston and Peter Enns who had left their jobs after expressing views deemed contrary to the institution’s creeds. However, David Marshall, the Christian apologist, thought that the failed tenure bid of Guillermo Gonzalez, an astronomer formerly at Iowa State University, was a case where a Christian was persecuted out of his job. He specifically accused me of conducting a “witch hunt” against Gonzalez. Marshall’s allegations are not only untrue, but they illustrate very well, even if unwittingly, how untruth can become Gospel Truth. In this case, Marshall is helping to perpetuate The Gospel of the Martyrdom of Gonzalez. Similar mechanisms that led to Marshall’s views of the Gonzalez case explain how a story of a resurrection can become orthodox belief despite the existence of competing claims about Jesus in early Christianity. Moreover, I will show that the Gonzalez case is not at all comparable to any of the cases of Christian academic persecution that I referenced. 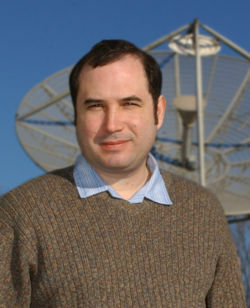 Dr. Guillermo Gonzalez is an astronomer who did not receive tenure in 2007 at Iowa State University, my home institution. Gonzalez claimed that he was not granted tenure because of persecution for his creationist/religious/Intelligent Design views. He related some of his experience in Faith Seeking Understanding (2012), a book edited by David Marshall, where Gonzalez has an essay titled, “Faith Seeking Exoplanets,” on pages 171-77. The basis for this allegation against me was that in 2005 I co-authored a statement, signed by some 130 faculty members, including one eventual Nobel Prize winner in Chemistry, that declared Intelligent Design to be a religious, and not a scientific, theory. Our faculty simply expressed what many Christian and non-Christian scientists and scholars have come to conclude. After all, Francis Collins, an evangelical Christian scientist, remarked: “First of all, Intelligent Design fails in a fundamental way to qualify as a scientific theory” (The Language of God: A Scientist Presents Evidence for Belief , p. 187). In other words, we were exercising our academic freedom to give our opinion on Intelligent Design just as Gonzalez was free to give his opinion, something he did in his book, The Privileged Planet (2004). To say that we were conducting a witch hunt for simply saying what we believed to be true is to misunderstand academic freedom. Iowa State University faculty needed to be on record because many agents of the Discovery Institute and their allies in other states were using the name of Iowa State University to suggest that this institution generally thought ID to be a scientific theory. ID proponents could then introduce this creationist theory into local schools who never would know that many or most faculty at Iowa State did not agree that ID was a scientific theory at all. We did not want ID advocates to use our silence against us. So, we simply wanted the public to know that this was not the case. See further: The So-Called Smoking Gun E-mails. Our statement never named Dr. Gonzalez or requested that any negative action be taken against him for his beliefs. As stated, the University has publicly stated that Gonzalez did not meet the trajectory of excellence expected of astronomers at Iowa State University, including an ability to attract funding that was far below the reported norm. A Freedom of Information request resulted in many internal e-mails, including some of my own, to be divulged to the Discovery Institute. I am still not aware that any of those e-mails uncovered anything like what Gonzalez or his cohorts allege about me. I had no vote in any tenure decision and I never expressed any negative position about his tenure to anyone. There also was never a real legal challenge that was mounted against the university. Gonzalez claims that he simply did not want to be subjected to the abuse suffered by Michael Behe (Faith Seeking Understanding, p. 176). However, Behe was never fired from his institution for his ID views. And given the past history of the Discovery Institute, which advised and supported Gonzalez, and given the fact that ID was declared to be unscientific when it was litigated a federal court (Kitzmiller v. Dover, 2005), the unwillingness to mount a legal challenge may also tell you a lot about the weak nature of the evidence that the Discovery Institute and Gonzalez thought they had. A. Accept the pro-Gonzalez narrative as true without further investigation. B. Try not to mention that there are competing narratives, and so virtually erase them from the historical record in your canon of blog posts referencing this case. C. When you have to acknowledge competing narratives, still accept the Pro-Gonzalez narrative without further explanation. D. Repeat steps A-C until readers of your blog come to believe that there is only one true narrative. We can now elaborate on some of these steps. Up until I saw Marshall’s comments on that thread, I don’t recall reading anything by or about this David Marshall. I certainly don’t recall ever saying anything about Marshall prior to that thread that would merit this sort of hostile response. In 2010, the historical sources for anything about the Gonzalez story would include the following (we can recategorize and/or subcatogerize these sources in different ways, but I am trying to keep it simple for now). B. The Discovery Institute, a pro-Intelligent Design think-tank which works with Gonzalez. C. The film Expelled (2008), which featured the Gonzalez case. Since the case is disputed, making the libelous accusation that I conducted a “witch-hunt” would seem to require some evidence. Such a requirement is indicated by a presumed goal of simple fairness, and also for the sake of simple intellectual honesty and research. B. How he verified that the claims in those sources was true. Verifying such claims would involve much more data than was publicly available. For example, he would have to be privy to the internal discussions by the faculty who actually voted on Gonzalez’s tenure case in his department, and those are not usually public information. LYING, FORGETTING, OR SOMETHING ELSE? If Gonzalez’s essay was requested at about the same time, then it would be AFTER he made his witch-hunt statement on April 29/30, 2010. So, that still leaves unexplained the exact source for his remarks in 2010. But perhaps Marshall can be interpreted as saying that he obtained his information from Gonzalez by means other than the essay in Faith Seeking Understanding, and perhaps years prior to that essay. I could easily multiply examples from allies of the Discovery Institute that repeat this meme of the witch-hunt. Curiously, "witch-hunt" is not a description of my activities used by Gonzalez in the essay that Marshall says was his source. Now, perhaps “witch-hunt” is just a more general term people use for anything they see as persecution, but it still leaves unexplained how Marshall could even conclude that there was such a persecution. So, my impression (“...mostly propaganda from the Discovery Institute, among other pro-ID vehicles”) of where Marshall derived his information is reasonable because his words match those of the DI and its allies. If the Discovery Institute helped Gonzalez craft his martyr narrative, then even what Gonzalez says is channeling Discovery Institute propaganda. If I am wrong, then let Marshall tell us the precise date and source, preferably with a direct quote, from which he received the information he used to make his “witch-hunt” remarks on April 29/30, 2010. I have argued that the Church burned or did not preserve competing narratives about Christianity, and I gave some very specific examples. In today’s world, book burning may not take place as often, but that does not mean that erasing counter narratives has ceased as an apologetic practice. Marshall, for instance, never mentions (unless forced to do so) that there is even a counter narrative to Gonzalez’s claims. In that narrative, Gonzalez and his allies are deceptively manipulating the media to create their martyr narrative. Here is an example involving Tim Borseth, a local minister in Ames, Iowa where Iowa State University is located. So, does Marshall condone this sort of deception and sock-puppetry? Is that not evidence that perhaps it is Gonzalez and his allies who are constructing a false or misleading narrative? Throughout my interactions with Marshall’s writings, I have noted his general indolence in scholarly research. He often repeats information from secondary sources (e.g., Rodney Stark), and assumes it is true. He rarely checks primary sources from what I can see, at least not in biblical studies or Christian history. Sometimes I receive the impression that he hurries to get something out before doing his homework. His post responding to my “Craig versus McCullagh” was published within about 24 hours of mine, and has references to Alexander the Great and Krishna that clearly demonstrate his lack of reading in those areas. One of the most humorous examples of knee-jerk reactions is a post responding, in part, to a post I had not yet written (and which is the present one, I suppose). See: Avalos on Warpath. Other times, Marshall's reasoning is so poor that is a waste of time to answer each and every instance. Here, I can only mention his risible posts on the Crusades, Luke 14:26, Acts 5:1ff. to which I may eventually respond. These posts are full of historical errors, not to mention amazing feats of intellectual gymnastics intended to wash away the bad aspects of Christian history. I refer to due diligence because Marshall’s comments on the thread of “Craig versus McCullagh” shows that he had information available to him, but he did not read it. Or if he did read it, he did not integrate it into his main response. Note his comment on the Gonzalez controversy dated March 7, 2013. Marshall is referring to a link that I provided on March 7 in the thread of “Craig versus McCullagh.” The problem is that I had given him this very same link back in 2010 on that Amazon review thread. So, if he thought that the link “does explain Avalos' position better than I had been aware,” then that should have been the case BEFORE he repeated his accusation about Gonzalez in 2013. And how does a charge being untrue make Marshall’s “general point somewhat”? This evasive and nebulous language is the best apology this upright apologist can manage, I suppose. If Marshall had performed his due diligence he would have read it in 2010, or at least before launching these accusations again in 2013. But, Marshall, as usual, is a lazy blogger. He does the minimum he can get by with instead of giving us well documented discussions. That is why he can be fairly be called a hack-writer rather than a scholarly one. He apparently sees getting his opinions published as more important than making sure that his opinions are well-researched and documented. Marshall’s attempt to make the Gonzalez case the equivalent of the cases I offered suffers from a very basic flaw. In the modern cases at Christian institutions that I referenced, there seems to be agreement between BOTH the institution and the scholar in question that the cause was a difference in some religious viewpoint. But that sort of joint statement is not the case with Gonzalez. Iowa State and he have very different views on why he did not receive tenure. Iowa State denies that it was because of his religious views, while Westminster does acknowledge that it was partly due to a difference in religious views. If Marshall had done his homework, and read the link that I provided, he would have realized that I cited a JOINT STATEMENT that did represent BOTH SIDES at least in this case. So, at best, the Gonzalez case is one where the parties don’t really agree at all that his views on Intelligent Design were the reason for his failure to achieve tenure. To call it “a witch-hunt” already assumes that Marshall knows that one side of that argument is correct when he really could not have such knowledge. “But of course, a private school is not a public school. Private schools have the right to hire only teachers who will affirm the pedagogical assumptions they promise prospective students and their parents. Public schools are funded, by contrast, by taxpayers, and are responsible for educating the general audience. Shouldn't that difference be obvious?" Clearly Marshall is switching the topic from the EXISTENCE of a Party Line, which is what I asserted, to THE RIGHT TO HAVE A PARTY LINE, which was not really part of my original argument against Craig. In fact, Marshall confirms that there is such a thing as a Party Line otherwise known as a Statement of Faith in many Christian institutions. According to Marshall, it is perfectly acceptable to discriminate in a private religious institution if those in power believe that some invisible being called God thinks differently about a person’s research. However, public schools, where scientific evidence is the method of evaluation, are wrong to not grant tenure someone who claims to be doing science when he is not. Marshall also seems to think that paying taxes is the equivalent of the ability or right to judge what science is. Otherwise, Marshall’s statement makes little sense because public schools also promise taxpayers to uphold scientific values and pedagogy in their science departments. After all, does Marshall really think that taxpayers send their children to Iowa State University to learn pseudo-scientific theories? In Faith Seeking Understanding (2012), Gonzalez states: “Third, there are several smoking guns regarding the actual reasons I was denied tenure. Perhaps the most damning one is a statement made by the department chair, Eli Rosenberg, in my tenure dossier (accessible to the voting members of the department) that my ID views disqualified me from serving as a science educator” (Faith Seeking Understanding, p. 176-77). Such statements would be better documented if Gonzalez would let everyone see his entire dossier, but, as far as I know, he has not made it available for review. Even if Gonzalez is reporting Rosenberg’s comments correctly, those comments would only show that Gonzalez’s claims to have scientific evidence for the design of the universe do not pass scientific peer review in his department. ID is rightly regarded as a theological view that Christians and non-Christian scientists (e.g., Francis Collins), as well as Christian theologians (e.g., John Haught), have declared to be not scientific. While Gonzalez complains that “the most vocal opponents were self-professed atheists,” he does not seem to mind that the ONLY vocal proponents or sympathizers of ID that can be found at Iowa State were all Christians. From the start, the Discovery Institute and Gonzalez tried to frame the controversy as one between atheists and Christians, which was false. Gonzalez fails to mention that of the 130 or so signatories of the anti-ID statement, Christians far outnumbered the self-professed atheists. There were other religions represented. In fact, it showed that a broad spectrum of scholars of different religions agreed that ID was not science. The faculty in public institutions have the academic right to judge whether something is scientific or not. Gonzalez claims that his theory can withstand scientific scrutiny, and so it is absolutely fair to scrutinize it scientifically. If it is found deficient on the very grounds that he says his theory should be judged, then scientists are within their rights to declare it unscientific. The fact that public institutions serve the public is the very reason why it is important that such institutions have the freedom to distinguish science from pseudo-science. Since ID is a religious theory, then scholars of religion also have a right to judge his theory. After all, Gonzalez co-wrote The Privileged Planet with Jay Richards, a theologian. His claim that ID has religious consequences, but not religious presuppositions, is simply false, as I have shown in the sources cited below. Furthermore, Marshall seems not to have read Gonzalez’s book, The Privileged Planet, or he does not understand Gonzalez’s version of ID enough to know how theological and unscientific it is. So, even if ID were the main reason for the lack of tenure, then it would prove no more than scientists are not going to give tenure to someone that they think is practicing pseudo-science or disguising religion as science. In such a case, a science department may even have an obligation to not retain someone whose theories are as unscientific as those of individuals who might espouse a flat earth. The judgments are made on the very rules of scientific research and peer review to which Gonzalez agreed to be subjected when he gained employment in a research university. That research is public and can be evaluated by others. Such an evaluation is not based on unverifiable faith claims. Theological rationales for any discrimination, on the other hand, are not subject to verification. In such cases, employment would be denied because those in power think they can read the mind of some invisible being called God. If Marshall thinks that claiming to read God’s mind is a more acceptable reason to deny someone of making a living in a private institution, then that just shows the absurdity of Marshall’s entire academic ideology. “Conflating a seminary that (after much deliberation) lets a teacher go because they do not think he agrees with the Statement of Faith they uphold and he signed to get the job, with murder, and by this slight of hand spanning 20 centuries and millions of scholars, is painting with a pretty broad brush. How many people have been fired or persecuted for asserting Christian teachings by non-Christians (Muslims, Buddhists, NeoConfucianists, communists, secular humanists) over the same period? Forty million? Would it be fair, then, to speak of how "non-Christian institutions routinely disemployed, persecuted, or killed scholars who agreed with Christian orthodoxy?" Marshall’s numerical comparisons are thoroughly ridiculous. Marshall, who has never shown much aptitude in the study of Christian history, seems not to have studied the basic population history of the planet. The fact is that all of Europe had maybe 50 million people around 1500 (HIstorical Population Statistics), while communist China at the time of Mao’s revolution in 1949 had over half a billion (China Population Statistics). So, to say that Christianity is somehow superior because it had lesser numbers of people available to kill is like praising Jeffrey Dahmer for not eating as many people as he could have eaten because his stomach could only digest only so many people at a time. Such numerical comparisons are useless unless tied to a principle. I know of no principle of the Inquisition, Christian witch-hunting, or any other anti-heretical activity that was limited by numbers in Christianity. If Christians had found 40 million heretics, there was nothing in principle to prevent them from killing 40 million heretics. Similarly, one cannot fairly compare the greater number of people killed in any modern atrocity to Christian atrocities in pre-modern times unless one explains how Christian principles, rather than accidents of demographics or logistical inefficiencies, somehow limited the numbers of people that could be killed. After all, the Story of Noah’s Flood alone shows the willingness of a biblical author to drown virtually ALL the people in the world, and how many would that have been if they had 7 billion people back then? Marshall also claims that I am wrong to conflate “murder” with requirements of adherence to Statements of Faith. But the fact is that, historically, deviations from those statements of faith are what got people killed in the past. 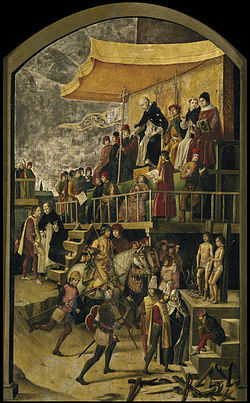 The very ritual that resulted in many executions of heretics during the Inquisition was called called an Auto-da-fé (“act of faith”). When these rituals resulted in execution, they publicly detailed how the accused had departed from accepted creeds. Yes, we can trace the idea of persecuting and/or expelling heretics and non-Christians all the way back to the New Testament in case Marshall has not read it thoroughly enough (e.g., Galatians 1:9; 3 John 9-10). We may no longer kill heretics in America, but that is largely because secularization, especially in the West, has made it difficult to kill people for religious reasons, and not because there is some explicit numerical limit in Christianity that prevents mass killings of heretics. In any case, my original post (“Craig v. McCullagh”) asserted that if there was such a thing as a Party Line, it still existed mostly in Christian institutions rather than in secular ones. Now, Marshall apparently agrees that THERE ARE PARTY LINES IN CHRISTIAN INSTITUTIONS. This has important implications when appealing to any sort of “consensus” among scholars of the resurrection. Precisely because of the existence of such a Party Line, appealing to a consensus of scholars of Christian institutions about the resurrection of Jesus should have as much weight as appealing to a consensus of scholars of Islamic institutions about whether Muhammad was a prophet. Academic freedom was born mainly in secular institutions and ideologies, and not in Christian ones. We can trace the concept at least as far back as Baruch Spinoza’s Tractatus Theologico-Politicus (1670), especially the 20th chapter. So, let Marshall show us ONE example of where anyone in a public university has been dismissed for belief in the resurrection, and then let him evaluate again whether Craig’s charge about Party Lines, which was the main topic at issue, is itself a case of painting with a broad brush. 1. Marshall, if I understood him correctly, used only one source, Guillermo Gonzalez, when he knew others were available. He certainly never contacted me to confirm any of Gonzalez’s charges. On the other hand, I contacted Marshall on at least some issues to ensure that my information was correct. Marshall also contacted me to ask if I would debate him, and so he certainly could have contacted me to confirm my side of things on the witch hunt accusation. 2. Marshall assumes Gonzalez’s account is true without diligently investigating or verifying Gonzalez’s claims. 3. Marshall does not really mention that Gonzalez’s claims are disputed by others. 5. Marshall does not mention the instance of deception that I noted on Gonzalez’s part in the link above when dealing with the media. Thus, Marshall is acting as a filter for the story that he has pre-selected as "true" on grounds other than actual research of all the relevant primary sources. If readers only have Marshall’s version of the Gonzalez Martyr Gospel, then they are not going to even know that there is an opposing view. Similarly, many competing stories existed of what happened to Jesus, if such a person actually existed. Eventually the orthodox pretended as though the competing stories did not exist or those competing stories were erased completely from the record (cf. Pope Leo I burning rival gospels). In the case of The Gospel of the Martyrdom of Gonzalez, Marshall helps us better understand how simple it is to perpetuate claims that he could not really know to be true. He obtusely chose an example with which I am very familiar to mount an ill-conceived challenge on my historical methodology. His accusations reveal the work of an unscrupulous and amoral individual who believes the ends can justify the means. If the "witch-hunt" meme works to destroy someone's reputation, he will use it without any further investigation or concern that there exists a different narrative. Fortunately, we still have faint traces of some of those opposing Jesus stories, even in the NT.